Chinese manufacturers are infamous for releasing cloned products whose design language strongly resembles the product belonging to their competitors, namely Apple. Huawei has once more been pushed in the negative light, with the latest report stating that the Chinese giant attempted to obtain crucial information from Apple’s supply chain and other sources in an attempt to reverse engineer the parts used in the Cupertino giant’s product line. 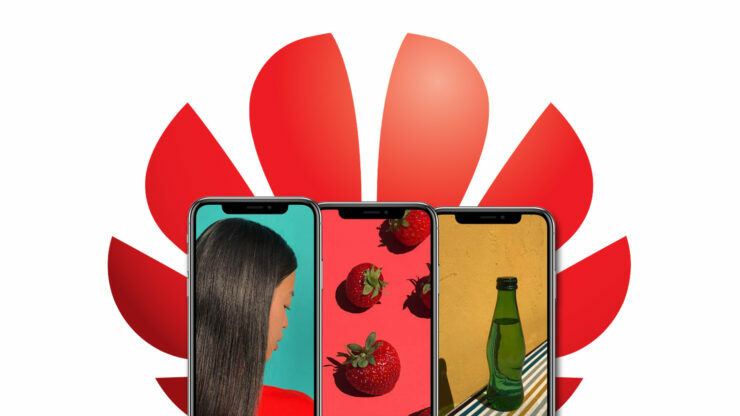 To sway these suppliers into giving them the knowledge necessary to reverse engineer Apple’s product parts, The Information reports that Huawei’s engineers would approach these suppliers with the promise of a lucrative manufacturing contract. The supplier making the heart rate sensor refused to provide information when asked about the Apple Watch and the individual also requested anonymity as a nondisclosure agreement was signed with Apple. Huawei has instead claimed that when it conducts R&D, its employees must use ‘publicly available’ information while respecting third-party intellectual property. Huawei’s spokesperson later said that the Chinese OEM spends more on research and development than its competitors. The U.S Justice Department has said that Huawei possesses a system in place where its employees are rewarded for stealing information. The value of the reward increases based on the confidential value of the information they obtained. Such employees were also encouraged to post these strips of valuable information on an internal company website, and they were assured that no punishment would befall them. According to a source, an earlier-related incident for trade secret theft involving Huawei occurred when the latter attempted to copy a connector design used to make the MacBook Pro hinge thinner. A similar component appeared in Huawei’s 2018 MateBook X Pro, and this was made possible after the company finally secured a partner after being rejected by several of them. Another allegation pointed at Huawei is incessantly asking former Apple employees about upcoming products of features, with these questions also asked from Apple’s supply chain. When The Information pushed for answers, Huawei insisted that it doesn’t seek competitors’ confidential information nor does it have access to it. Not just this, but Huawei has reportedly tried its luck by pressing Foxconn for information. The massive product assembling giant would have heaps of information and parts that would be a gold mine for Huawei, but the company had no luck in there either. Foxconn refused to share valuable information and to prevent sensitive details leaking out, Apple’s assembly lines are isolated from Foxconn’s other facilities. To amplify security, Apple’s assembly lines also have metal detectors in place to prevent employees from stealing parts to sell to competitors. When the Apple Watch’s first manufacturing line was being set up in China by Quanta, it was under intense supervision. Of course, companies like Apple have limited choice but to set up manufacturing operations in China because of the massive labor market and sophisticated manufacturing networks. This certainly limits what Apple can and cannot control, but as you read earlier, the technology giant has several contingencies in place to prevent its competitors getting a hold of crucial parts and reverse engineering them.